Buy More Sheer Organza Ribbon Save More! 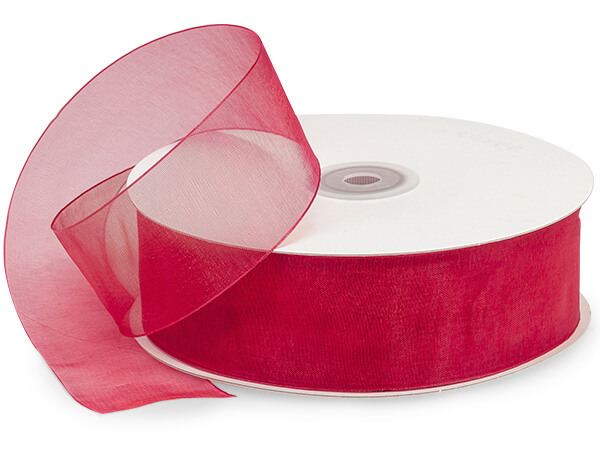 Scarlet Sheer Organza Ribbon in 1-1/2"x 100 yds is made out of 100% Nylon. Sheer Organza Ribbon aka Simply Sheer Elegant. This woven sheer ribbon is made of very sheer nylon organza, yet holds its shape. Made of Nylon which is higher quality and has more shine and shimmer than polyester. Available in a variety of sizes and colors on large 100 and 50 yards rolls depending on width.